First time saw the tittle of this tourist attraction, I wanted to know much about this place. I wanted to see the stones and the interesting spots. I am very curious about the place. So, my husband and I decided to enter the area. 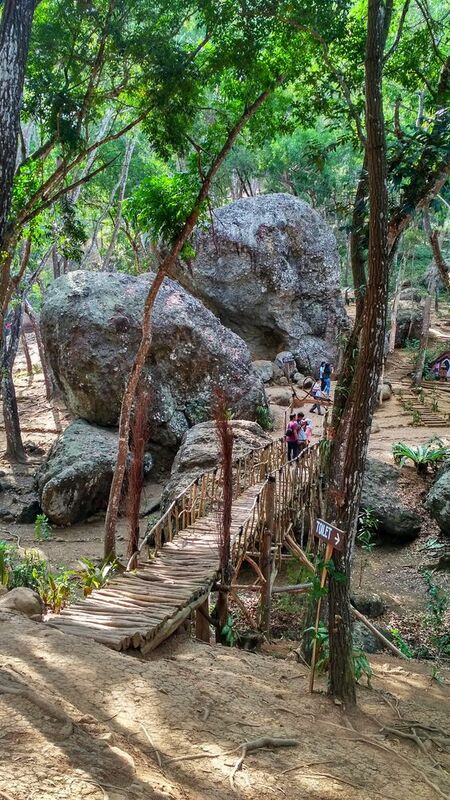 Seribu batu Songgo Langit is located in Mangunan Pine forest, Dlingo, Bantul Regency. There are some big stones and one is the biggest. Besides that, we can take some interesting photos at some beautiful and unique spots. 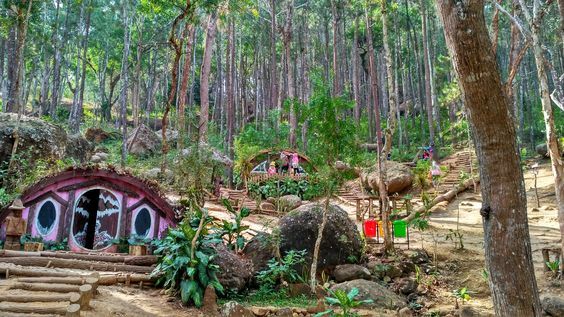 There are Hobbit houses, viewing post, Dwarf house, and also flying fox area. We can choose what we want to take and also taking some nice pictures. Pine trees is the best place when we want to take picture or just want to take a rest. Besides that, there are some facilities; there are food stalls and praying room. There are some benches when we want to sit and enjoy the pine trees atmosphere. Thank you, your blog is also great.